We mean business when it comes to protecting your livelihood! Our businessowners and commercial policies are flexible enough to protect everything from small start-ups to large corporations. Our agents are business men and women just like you — give one a call today for a quote tailored to your specific needs. From bakeries to nail salons, our businessowners policy has you covered! Talk with a local agent to find the best coverage package for you and your business. Our policy is written under the "Businessowners Coverage Form." This provides for risks of direct physical loss except as excluded. Money orders and "counterfeit money"
Some optional property coverages available to meet your business needs. 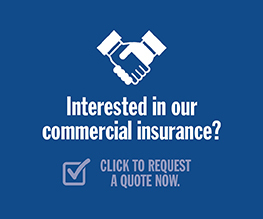 Kentucky Farm Bureau Insurance's flexible commercial policy allows you to purchase insurance according to the unique needs and demands of your business. We can cover from one line of insurance up to several lines on a single policy. At least 80% coinsurance must apply. Your business will automatically be provided the following extensions of coverage at no extra cost. These can save you money now and more importantly at the time a loss occurs. For answers to frequently asked questions regarding business claims, click here.